Move over, Mr. Grinch. There’s a new Seuss creation in town. He “speaks for the trees.” But no one listens – until it’s too late. “The Lorax,” published in 1971, was La Jolla author Theodor Geisel’s favorite book. And it couldn’t be more timely. Having been adapted for TV and film, the classic has now been musicalized as “Dr. 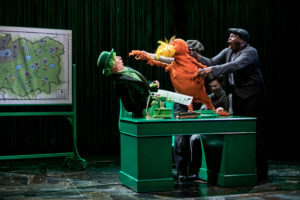 Seuss’s The Lorax.” The show is making its U.S. premiere at The Old Globe, in partnership with London’s Old Vic, which first produced it in 2015, and the Children’s Theatre Company of Minneapolis, which presented it this past spring. The book is by playwright David Greig, with music and lyrics by Charlie Fink, former frontman for the British indie folk-rock band, Noah and the Whale. Under the direction of Old Vic associate director Max Webster, the musical has all the color and whimsy you’d expect. The costumes, props and scenery are wildly imaginative. 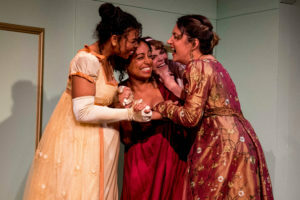 The energy is high, and the cast, brought intact from Minnesota, is impressively versatile. 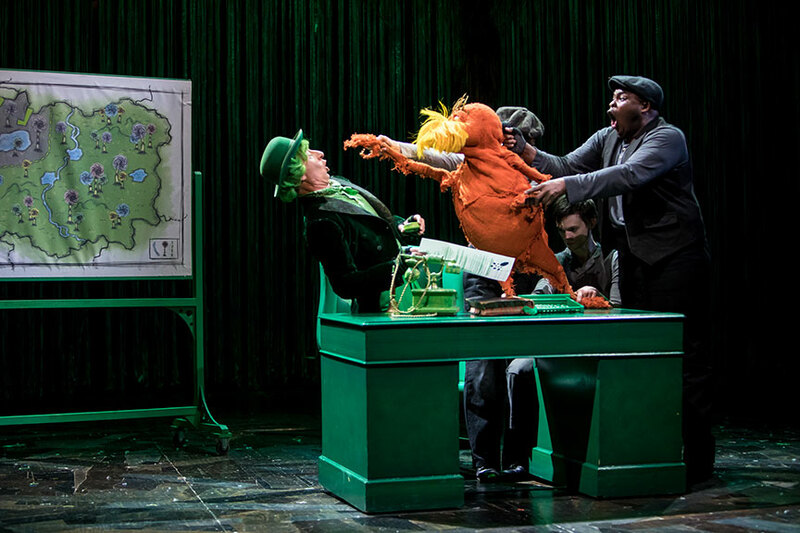 The bushy mustached Lorax is a lovable 3-foot-tall puppet, marvelously manipulated by three agile performers. The music ranges from bluegrass to gospel to rap. It’s pleasant, if not memorable. The lyrics, like most of the added dialogue, pale next to the ingenious Seussian rhymes. Young Once-ler, rejected by his family, goes off to become “a great man.” When he sees the tufty Truffula Trees, he weaves them into a Thneed, and he keeps “biggering” his enterprise until every Truffula tree has been cut down. He wouldn’t listen to The Lorax, and now the trees and the Lorax are gone. The parable is about preserving the environment, and not letting greed, capitalism and Big Business destroy the forests, the air and the planet. Heady topics for young children, but Geisel knew they were our future. Still, does an inventive, instructive musical for kids really need to last two hours – and include an extended fart scene? 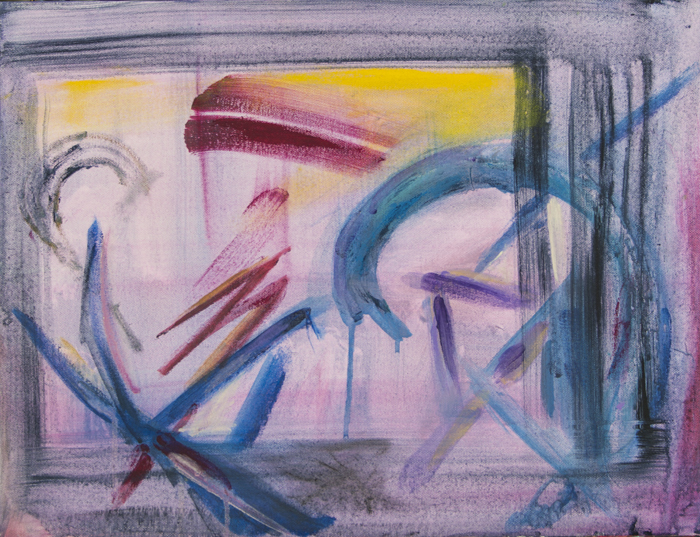 The subject matter is more urgent than ever. What comes through most clearly, though, is that Geisel was not only clever; he was prescient.